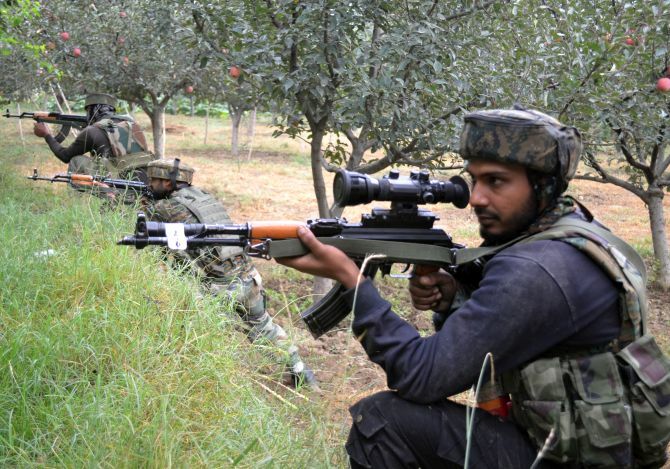 Eight security personnel, including four Central Reserve Police Force men, were killed when terrorists carried out a suicide attack on a district police complex in south Kashmir’s Pulwama on Saturday, triggering a massive gunfight in which the three terrorists were killed. 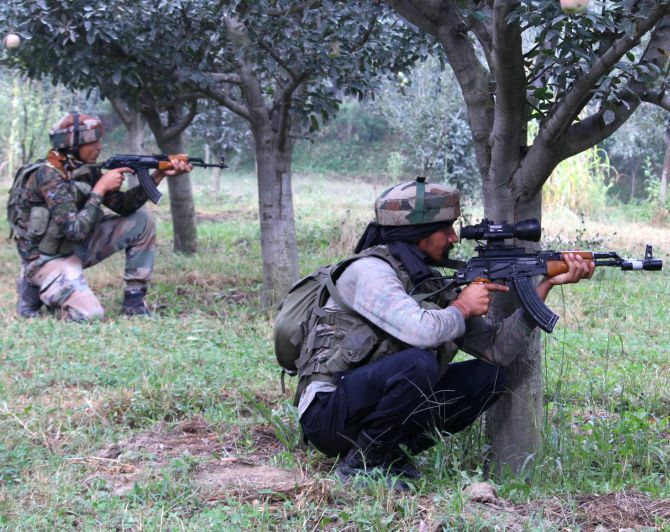 The terror strike took place at the crack of dawn when the terrorists, believed to be foreign mercenaries, entered the police complex in the worst-hit Pulwama district. Police, CRPF and army personnel quickly swung into action and cornered the terrorists and ensured that family members of the police personnel living within the complex were taken out to safety. By afternoon, the security personnel neutralised one of the three terrorists while another terrorist’s body was recovered after 5 pm, officials said, adding the firing had stopped and the third body would be recovered soon. The terrorists had entrenched themselves in all the three blocks of the police complex and were firing at the approaching troops, they said. Lt Gen J S Sandhu, General officer Commanding of Srinagar-based XV Corps, said it is a “fidayeen” (suicide) attack. “However, the boys fought bravely and we are only more determined to wipe out militancy from the entire state,” he said. A police official said that one of the terrorists came out of a building and fired indiscriminately during the encounter. “He was gunned down on the spot,” the official said. The Jaish-e-Mohammed has claimed responsibility for the attack. Hasan Shah, the spokesperson of the outfit said in a statement issued to Rediff.com in Srinagar that the terrorists stormed into the CRPF camp stationed at District Police Lines, Pulwama and inflicted casualties upon the armed forces. The armed forces have suffered massive damage while terrorists present there are giving a tough time to the Indian troops, he said.